since they started working together. A few weeks ago in the village of Salvador Urbina, in Chiapas, Mexico, a group of women had cause to celebrate. They spoke with pride of their achievement—successfully completing training as accompanates, or community health workers (CHWs)—and what they have been tasked to do for their community. They emphasized their desire to continue to learn and expressed appreciation for being given the opportunity to be of service. For many, it was the first time they had ever spoken at a public gathering; women had never before occupied a role that offered any public status outside the walls of their home. Giving women the opportunity to work will do wonders for gender equity. A little over two years ago, PIH Mexico hosted a meeting in the village of Reforma to recruit CHWs. After a series of interviews, 10 applicants, all in their 20s and 30s, were trained to become the first-ever CHWs in their communities. They learned about diabetes, hypertension, mental health, patient privacy, and how to conduct home visits, among other tasks. Though it took time for their neighbours (including some of their husbands) to accept their work—both in the role of CHWs but also because they were women—everyone now values the essential service they provide to their patients and the community. The community is becoming healthier. Some of the husbands of the CHWs are even helping around the house – another first. 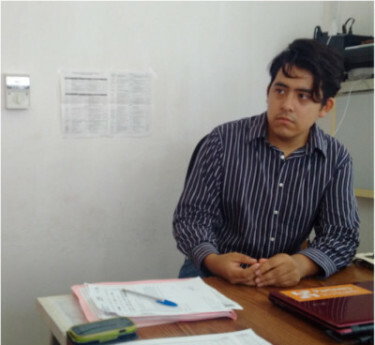 by Partners In Health in Reforma, Mexico. It’s incredible what can be accomplished by providing support for young health professionals. In Reforma, Dr. Gerrardo Murillo (whose story you may have read about here) is hardly living in luxury. A pasante in his mandatory social service year, he sleeps in a small room next to the Reforma clinic that doubles as a storage area for medications and other equipment. He is away from his family, his peers, and has no outside entertainment to speak of. 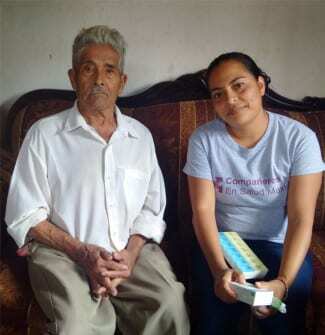 And yet, because PIH offers a clean and well-stocked clinic, mentorship from a more senior physician, and monthly opportunities to meet and train with other pasantes in surrounding districts, he is happily providing services to a community that five years ago had no access to a physician. He’s doing it for his patients, of course, but also because he knows such supports are all too rare elsewhere … and are helping him become a better doctor. People often speak within Partners In Health of the privilege of doing this work. It’s heartfelt and it’s real. It’s the privilege that comes with having a job whose raison d’etre is to make human connections. For the CHWs and their patients, that’s a gift in itself.